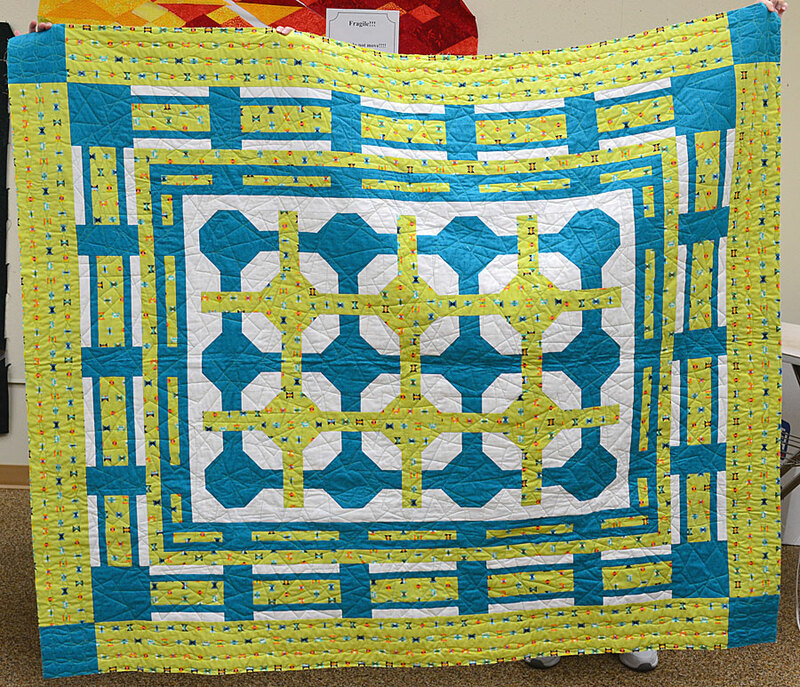 In last year’s Fall mystery classes, Laura asked the participants to bring in their quilts and quilt tops from past mystery classes. Unfortunately, I didn’t get pictures of all of them, but I did of a few which are shown below. For those not familiar with the premise of mystery quilts, it is where you sew the quilt, without knowing what the finished quilt looks like! In our classes, the pattern is handed out one step at a time, and everyone works through the steps at their own pace, without seeing the next steps. 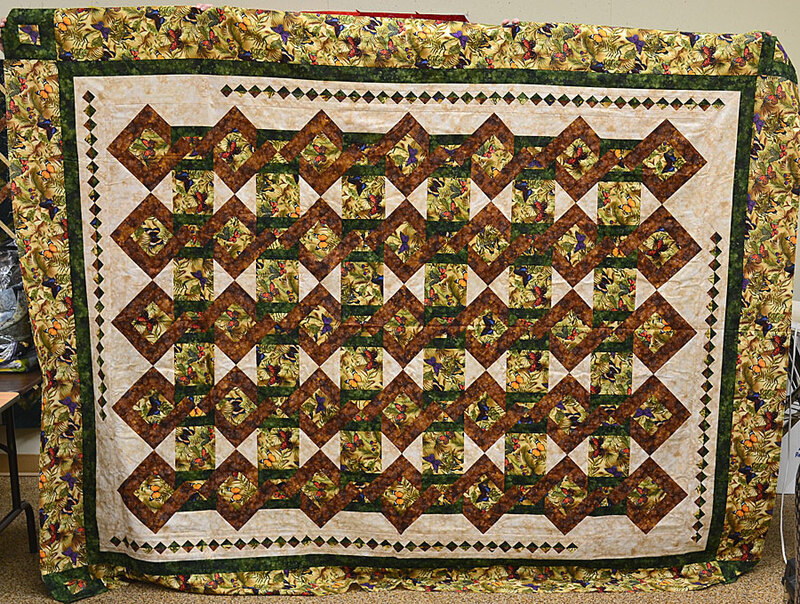 When everyone is close to the final step of assembly, Laura reveals her own finished quilt, which she previously made. Laura guides you through the entire process and provides tips and tricks along the way. 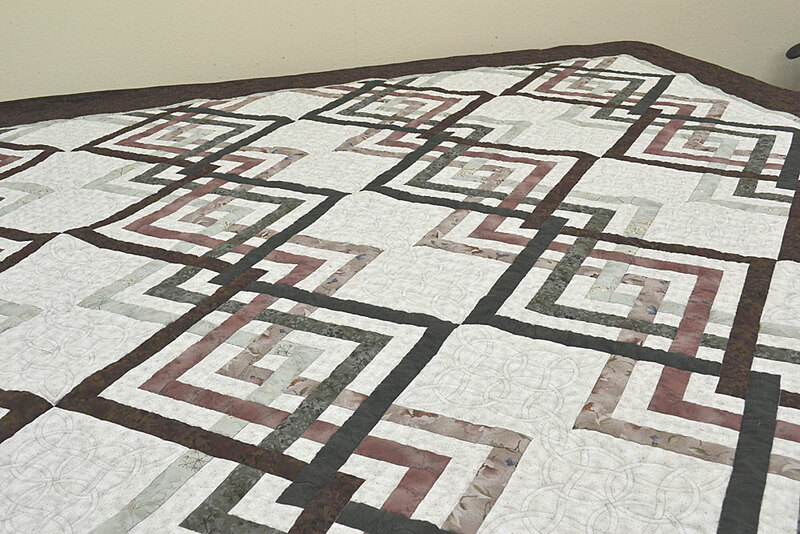 We keep a copy of the finished quilt pattern here at the store, so staff can refer to it and help customers pick the best combinations of fabrics. We even pick some fabric selections for those that don’t want to pick their own. Our Spring mystery classes are in our class schedule. We have room in the March 20- 22 weekend session, and the March 17-19 weekday session. If you would like to join the fun, you can come in or call us to register. 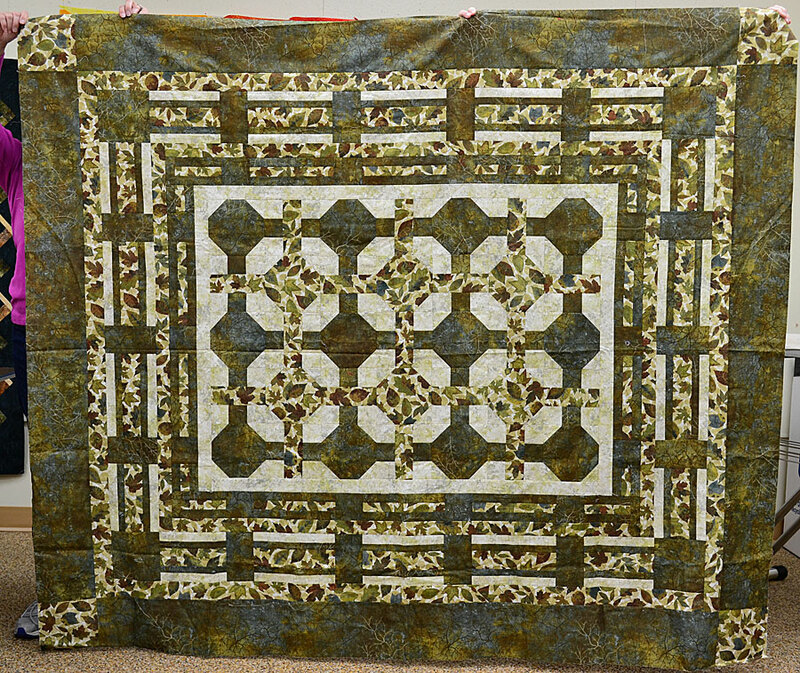 We had a customer drop by late last year to show us the quilt from the Rat Race class she had taken with Leslie. 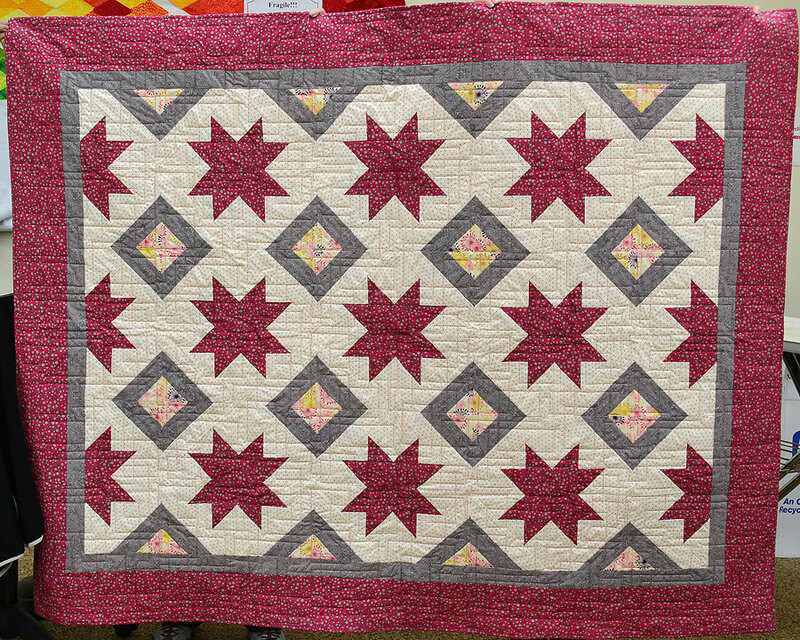 This quilt was made as a gift, and no names were to be divulged. 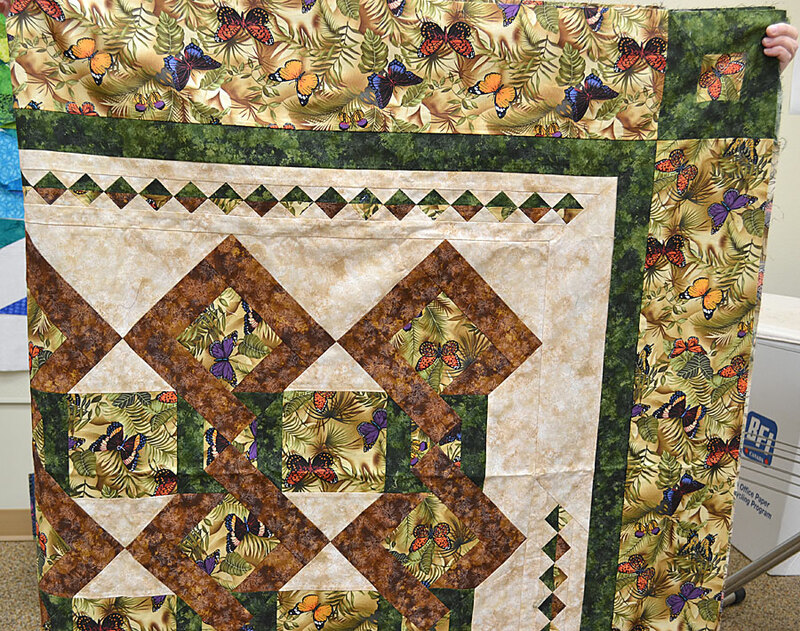 It was definitely a large queen or king size; my camera couldn’t take in the entire quilt laying on the table. The pattern is Rat Race, from the book, French Braid Transformation, by Jane Hardy Miller. We carry this book in our webstore, and would be happy to kit it for you. Just call us. 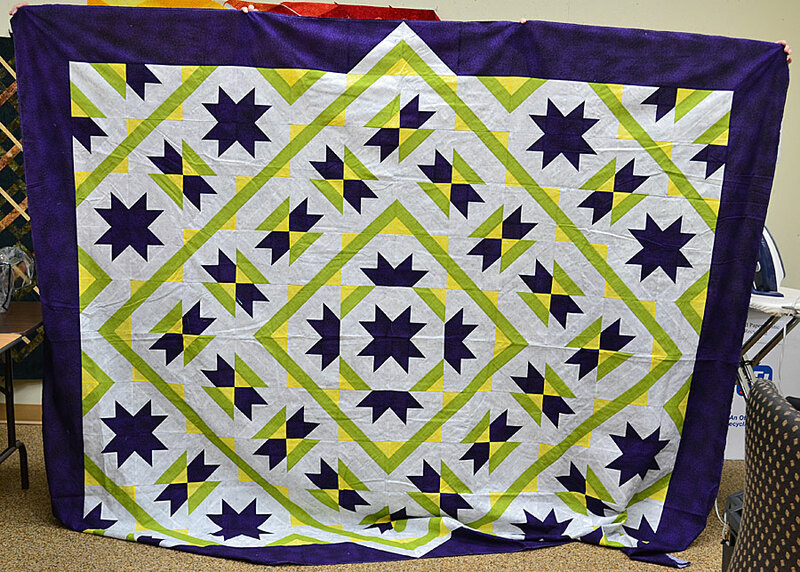 Our seventh annual Quilt Challenge is on right now, and the quilts are beautiful! Last May, we sold 30 kits for this challenge. 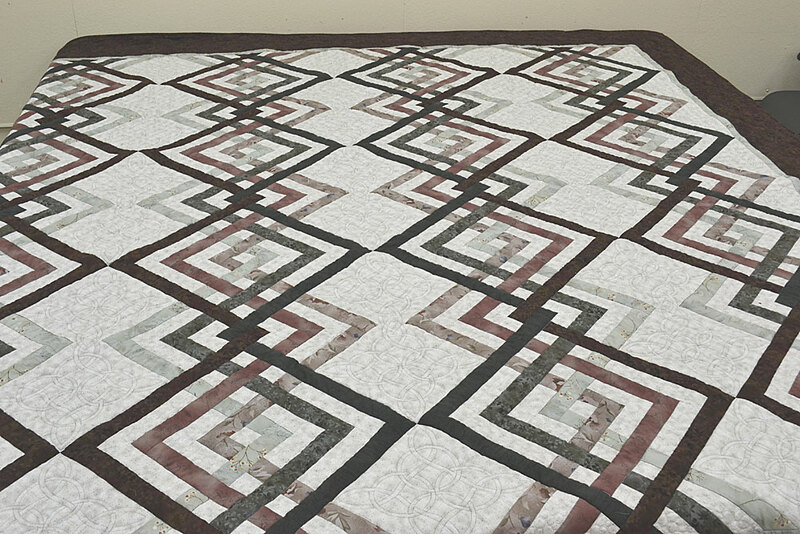 At least 4 of the fabrics in the kit had to be used to make a quilt top (not necessarily quilted) that measured no more than 240 inches around the perimeter. The design could be original or a pattern. Amateurs or professionals alike could enter the challenge. We received 8 entries for this year’s challenge, which is a Viewer’s Choice competition. Voting continues until January 31st. 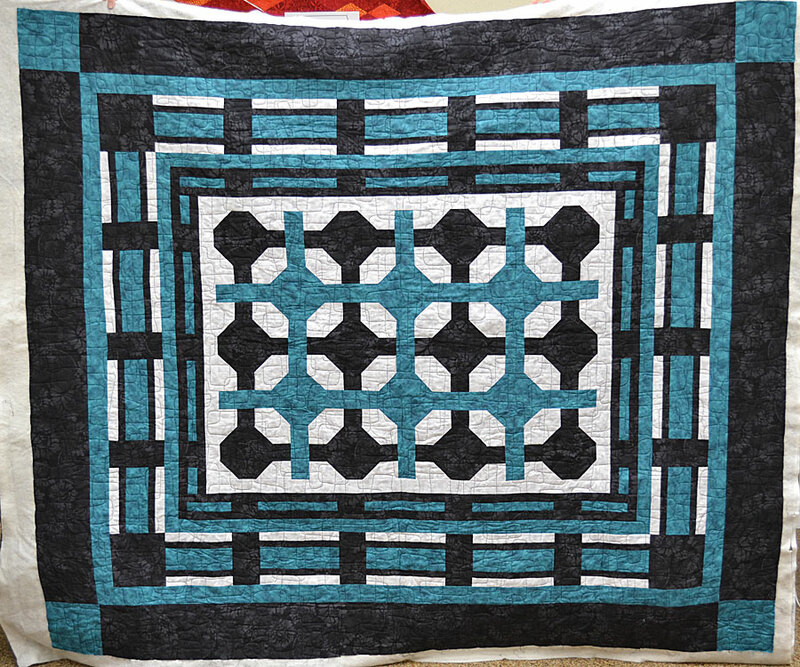 The entry with the most votes will win a $100 gift certificate from our store, and an insurance replacement appraisal from Dawn Hunt, a local certified quilt appraiser. There are also prizes donated by Contemporary Sewing Materials for the 2nd and 3rd place winners. 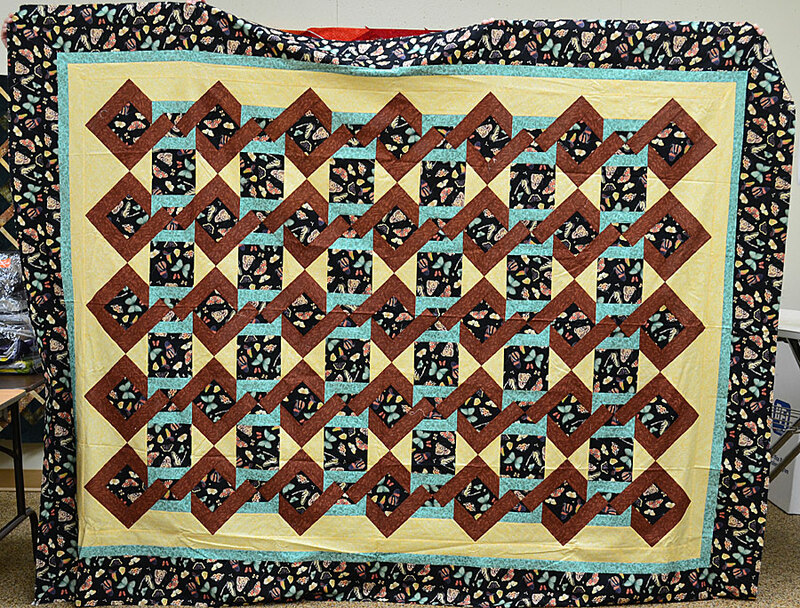 We invite you to come in, view this quilt show, and vote for your favorite entry. We are ringing in the New Year with our new class schedule, which has many new class offerings. 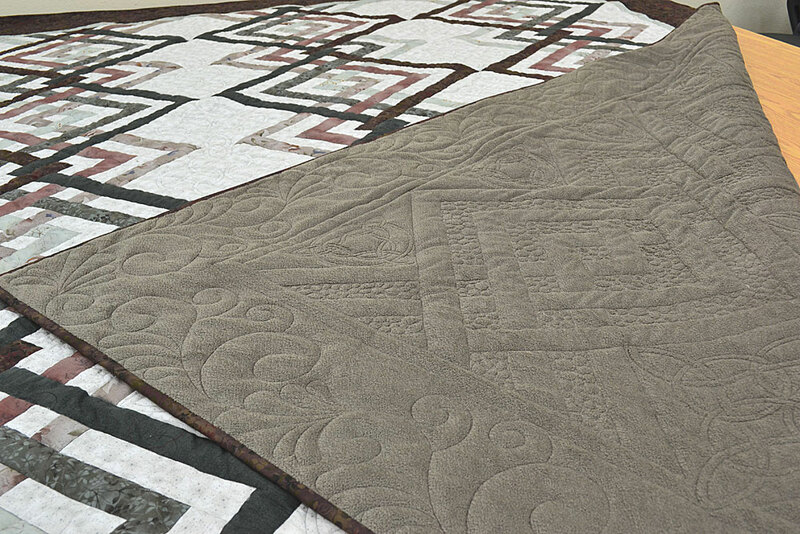 Click the quilt below to see our class schedule. 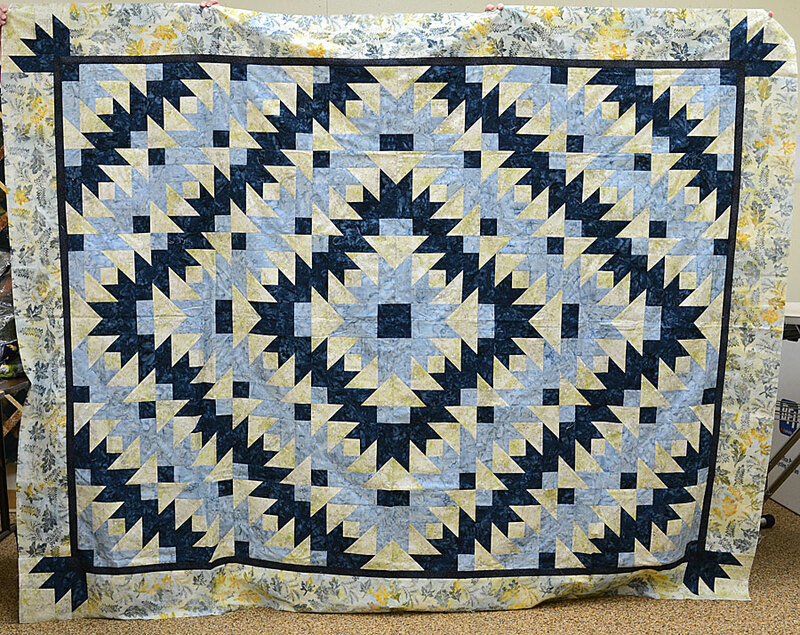 And, by the way, we will soon have kits of this quilt!